As the UK General Manager for Garbolino can you tell us what constitutes a typical day, if there is such a thing? Most days are different but there are some things I must do every day wherever I am and whatever I am doing that day. My actual job is UK General Manager to a company called SERT Fishing, a huge business based in France and a major player in the world of fishing. 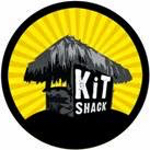 We have many brands which we sell around the world and I am part of a big team. I travel to Bordeaux once per month for a week to be with the team and build our strategies for the future. This covers a lot of product development work across several key brands not just Garbolino. We have Sakura and BIWAA which are dedicated Lure fishing brands, Prowess which is a specialist carp brand and Anatec who are the Rolls Royce of bait boats, Sunset is our sea fishing brand to name a few. A lot of my day is spent liaising with the sales team as well as retailers and the media. There is always plenty to do that’s for sure! What exciting new for 2017 Garbolino products can you tell us about? We have a huge seatbox project underway and have launched the first phase of boxes 6 months ago. We will be expanding the range of seatboxes and accessories for next season. We also have a fantastic new range of Distance Feeder rods which will be available around August/September time. If you need to cast a method or conventional groundbait feeder a long way you will be able to do it easily with these rods. Whilst testing the recent prototypes we could consistently get 110m in a head wind and they still have lovely fish playing actions for bream, skimmers and of course carp. We have masses of new items coming through in all our ranges, the brand is certainly growing very well at the moment. The one I need to use to catch the fish in the circumstances I am in at the time! I love all kinds of fishing but if you had to pin me down it would probably be catching skimmers on the long pole or roach and dace on the waggler on the river. I do love carp fishing but I can’t do it all the time especially in summer as it gets a bit tedious. I love to change and will fish to the seasons. In autumn /winter I focus on the rivers and stillwaters for silvers as the fishing is much fairer generally. 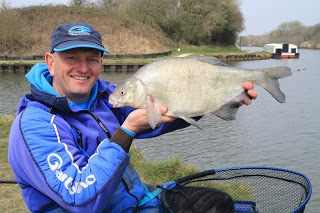 I love the spring for carp and bream fishing. I generally fish the big matches as I like the atmosphere and don’t mind where I go. Historically I would say roach and chub as these species taught me how to fish, they are very hard to catch especially in clear water and they don’t get much clearer than the River Wharfe in Boston Spa where I grew up. But you may have guessed I love catching skimmers and bream. Once you get the feeding right you can build big weights of them but it’s not easy to do. Absolutely I think we all have. My dad is my biggest hero as he actually started fishing just so he could take me when I was 7 years old. He taught me loads and took me to places where I could learn even more from others. Ivan Marks was my all-time hero as a kid and I was privileged to be able to call him a friend in later years when I fished the same circuit as him and his son Chris. Kevin Ashurst is also an angling God. 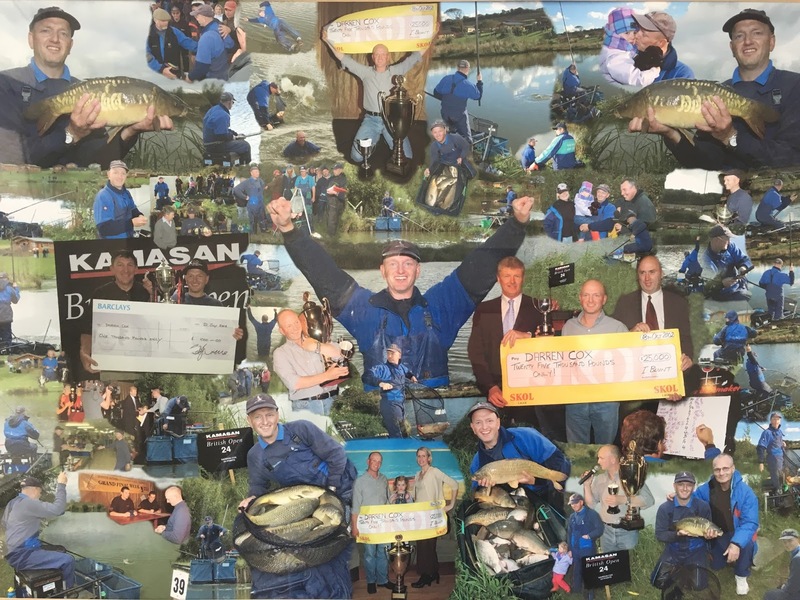 I have Howard Robson from Leeds who is sadly not with us any more to thank for turning me into a winner, not just a good angler. 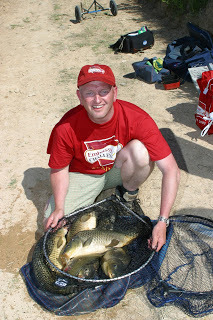 My biggest UK fish is a 24-12 carp but I have had bigger fish abroad whilst on holiday. I always have some gear with me and have a few days guiding or on a boat wherever we go. You’ve done a fair bit of fishing abroad, are there any countries you still really want to visit and any species you would dearly love to catch? 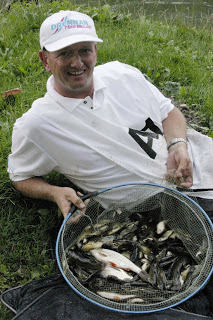 I am very lucky, I have travelled all over the world fishing with England, with my job and some nice exotic holidays. 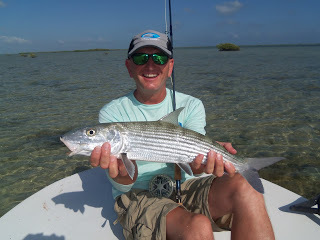 I’ve caught some amazing fish and finally fulfilled a boyhood dream of catching a bonefish last year in Cuba, in fact I caught loads! I would like to go to India to catch a mahseer and still want to catch a big permit on the fly. I can assure everyone that commercial fisheries kept a lot of the industry and anglers passions alive for many years as the rivers hit an all-time low in the late 80’s and early 90’s. When the rivers went clear because of new EU regulations releasing sewage and hot water into our rivers came in to play the rivers took a lot of years to recover. Now I would say that the rivers are actually better than they ever were! There are now masses more roach, perch, and especially bream in our rivers and the dace are now back all over the country. Hopefully the chub will recover soon. Anglers fish where there are fish, and our rivers are now full of them. The river match organisers are doing a great job and we have some really good circuits around. But also what Dave Harrell has done with the Riverfest competition has really helped and the Feeder Masters is also doing the same for our rivers and natural lakes, means that ‘natural venue’ anglers can also have a chance at some great prize money now, and rightly so. I think the immediate future is very good for match fishing however the longer term may not be. Too many of our pleasure anglers go straight from beginner to carp specialist and are not interested in our style of match fishing. That’s a shame and a difficult task drawing them back. Big money will certainly help this. Like I mentioned above, big prize money will help to an extent but there is a need for cultural change moving youngsters back from the screen to the bank and into the open air. 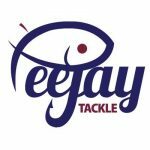 Lure fishing is a great way of getting non-anglers interested in fishing as you can go for 30 minutes rather than have to sit down and set up for one hour to coarse fish. If we can get people into the sport like this then they may stay in it and start match fishing. Fishing for England was always a dream as a 10-year-old kid. That will always be my biggest achievement ever and nothing will top that. 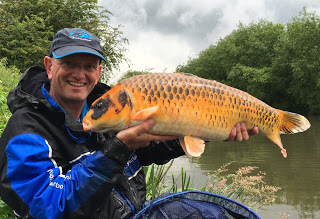 When I decided to step down from international fishing I took the decision to move away from team fishing too and concentrate on individual matches. I love team fishing but I have won virtually everything with Starlets and every team competition these days is so much smaller than those we won a few years ago it does not mean as much when you win I’m afraid. I am very proud of my individual achievements and would like to continue to add to them. I would like to win another one of the ‘majors’ again such as the Parkdean, Maver, Fisho, Golden Reel, Riverfest or Feeder Masters. You mentioned you fished for England several times, have you still got International ambitions? 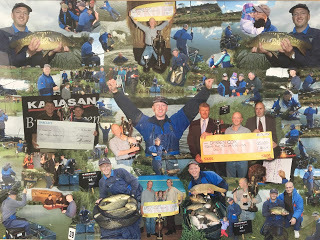 No not at all, I fished for the Float only Drennan Team England at Home Nation and European level for 12 years. Then I became part of the Preston team England Feeder team for 4 years. 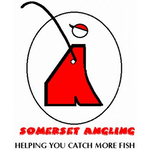 I am still one of only 3 anglers which has represented both teams at this level and am very proud of that. With my work and family commitments I could not put the same effort in as others so decided it was time to give my family some time as they had supported me for so long. Both my son and daughter compete swimming and rowing at very high levels and are knocking on National level so I need to give them the same kind of support my Dad gave to me to try and help them get as far as they can too in their sports. I absolutely loved every single minute of my time fishing at International level but do not miss it one bit! Yes loads! But I always say that fishing is a memory game and you need to make the mistakes as well as the good decisions and remember them for the future. That is what makes you a better angler. If you think it then do it! Your angling instinct is obviously telling you to do it so you must. If it doesn’t work then you have eliminated that idea at that time and you can carry on going through the process, which in fishing is as much a process of elimination as it is remembering what works in what circumstances. Sadly, I don’t believe this will ever happen. There are a few anglers who make a living out of fishing matches but they cannot rely on results alone to support a family. There are very few lucrative sponsorships available as we are in a relatively poor market compared to golf or football. Yes absolutely. I love these events, even the qualifiers are exciting. The finals are amazing! Red Wine – Saint Emilion or Sainte Estephe which are Bordeaux wines where we are based! There is only one football team of course! The mighty Leeds United!!! REM, Robbie Williams, Coldplay, Bruno Mars. A day on a match at Barston, Meadowlands or Larford followed by a nice meal out with the family, then back early to chill out with a bottle of red with Jules, the real star in my life!